TCL's Alcatel brand is about to get a raft of new phones, according to the latest leak from Evan Blass. 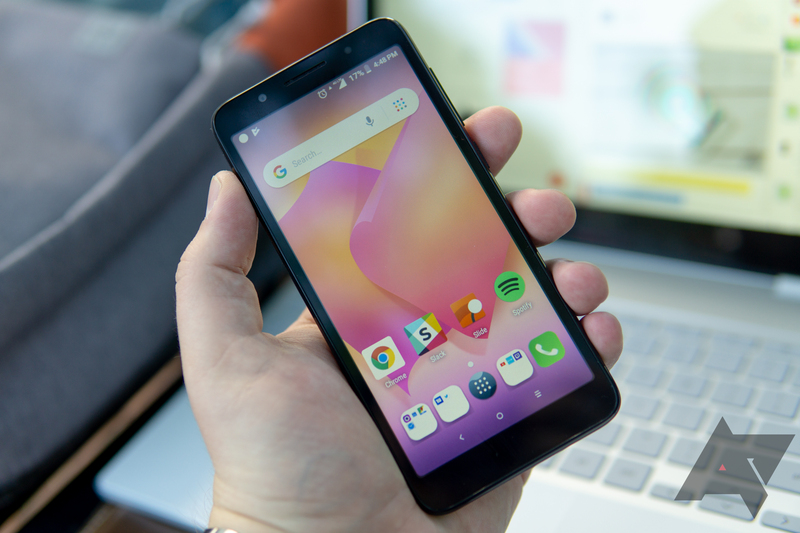 Alcatel doesn't trade in high-end phones or innovative designs, but it does make a lot of cheap phones. Of course, that means you're going to forget about these new devices almost immediately after they're announced. There aren't very many good budget phones in the United States. There are a few standouts, like the Nokia 6.1 and Moto G6, but most pale in comparison to budget devices sold in Asia and parts of Europe. 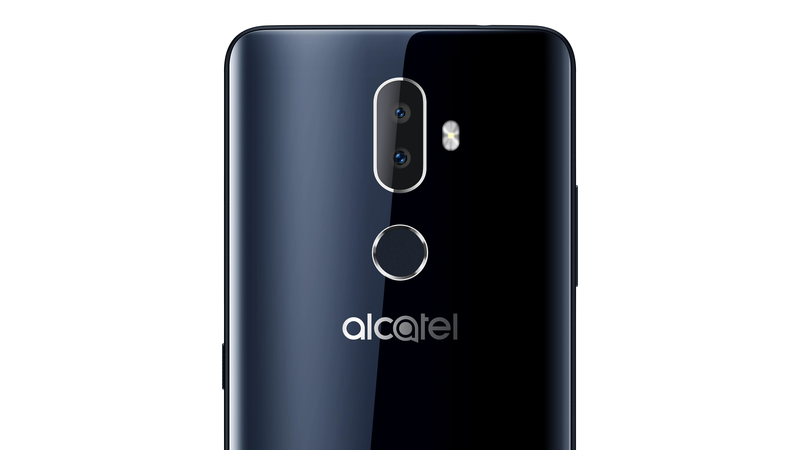 Alcatel, a sub-brand of TCL, is somewhat well known in the United States thanks to the hordes of inexpensive phones it sells through prepaid carriers (like MetroPCS and Cricket). The company's phones usually aren't anything special, but the recently-announced Alcatel 7 piqued my interest. The Alcatel 7 has a 6-inch 2160x1080 2.5D display, a 4,000mAh battery, and USB Type-C. At a retail price of $179.99, it seems like good value on paper, even though it's a MetroPCS exclusive. If you need a cheap phone, and we're talking really cheap, then I'm sure that you've probably heard about Android Go and the accompanying ultra-budget phones. The Alcatel 1 just went up for sale on Amazon for a measly $79.99, but that low, low price comes at a cost (heh). Affordable phones will always be a compromise, but Google hopes it can make entry-level devices a bit better with something new: Android Go. It's the same Android platform you know and presumably love, but optimized for sub-1GB RAM environments. That way low-end hardware can have its own low-end version of Android, rather than suffering an OEM debate between shoehorning in the latest version to perform terribly, or an older version which won't be secure or feature-filled. Enter the Alcatel 1X. 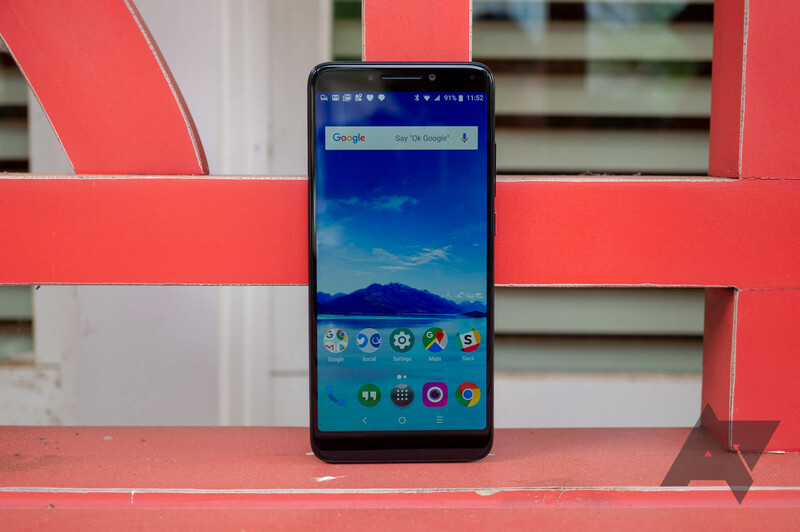 It's the second Android Go device to hit the US behind the ZTE Tempo Go—and the only one you can actually buy right now—at a mere $100. Hot on the heels of the recent Alcatel 1X (review coming later this week), the company has announced another Android Oreo (Go edition) powered device. 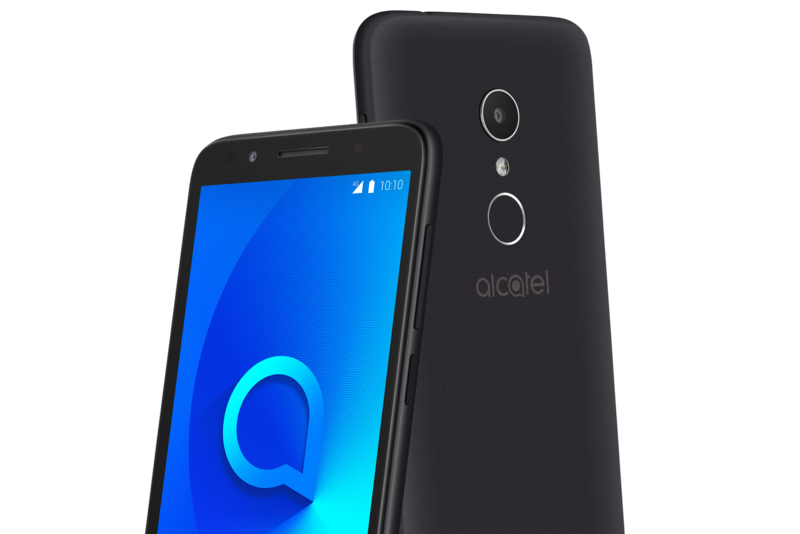 The new Alcatel 1 drops both the X and the fingerprint reader but hits a lower $89 price. The phone offers a 5" 18:9 "FullView" TCL display in several different colors with a brushed metallic finish, and Android Go should help ensure the lower-end hardware is a bit more performant. The company is also pushing some new camera features for the social-savvy in the device, including interpolation and some software tweaks. 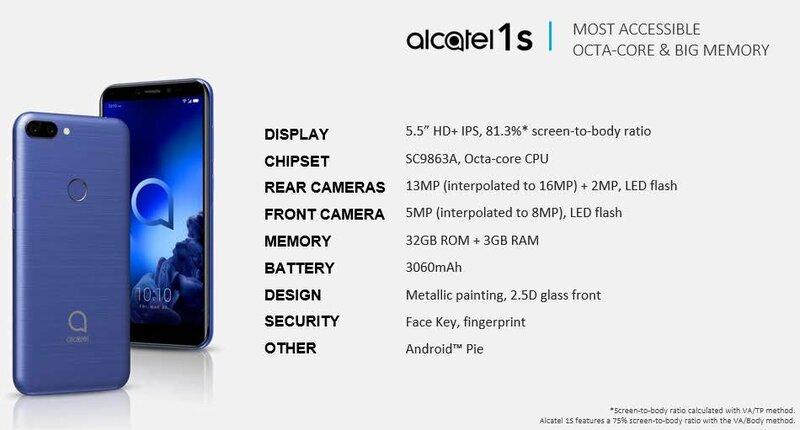 Alcatel and TCL have been teasing the 1X since just MWC. It was the first of the Android Go phones to be revealed, but now it looks like it will be the 2nd to hit stateside—following ZTE's Tempo Go, which you can't actually buy anymore. 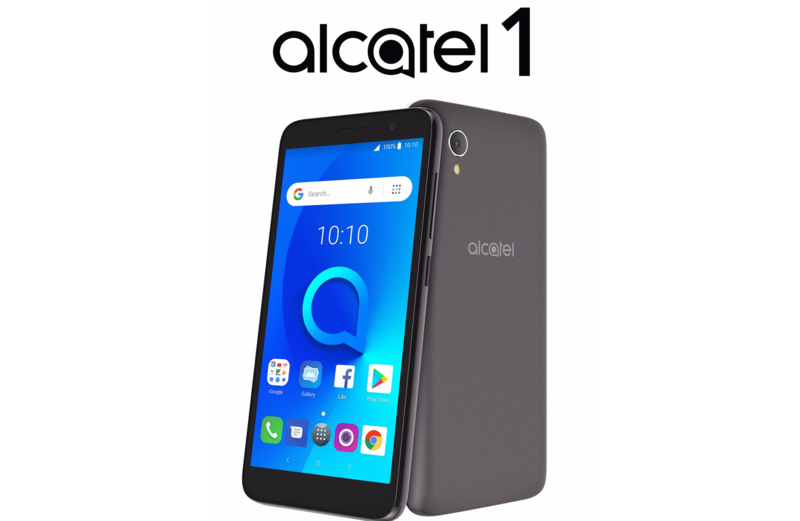 Thankfully, today TCL and Alcatel have just announced that the Alcatel 1X will be landing in the US on Amazon next week, delivering Android Oreo Go edition and an 18:9 display for only $99. Alcatel is bringing the budget-friendly 3V to the U.S. next week for an attractive $149 price. This phone has many of the buzzword features, like face unlock and an 18:9 display, and more for that low, low price. It's unlocked and will work on GSM carriers. It's been almost a year since Google unveiled Android Go, now technically known as Android Oreo (Go Edition), but devices you can actually buy are few and far between. 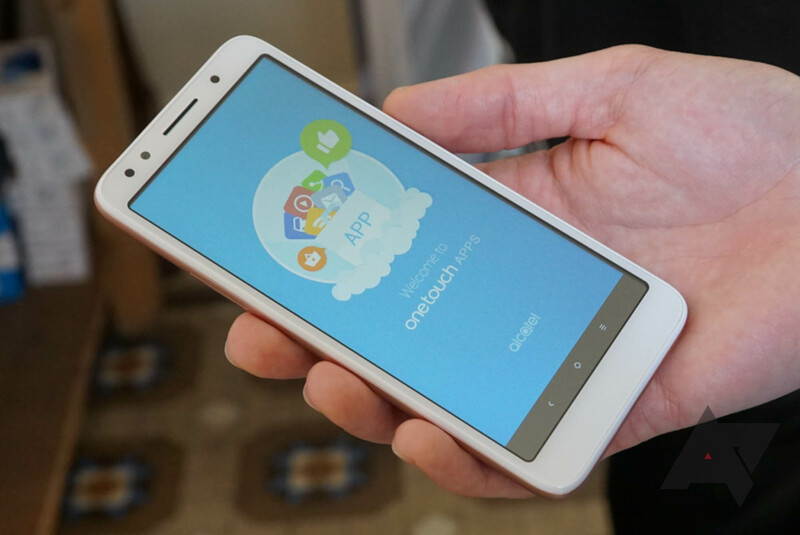 In fact, only ZTE has committed to launching a Go device in the US. Now, Alcatel is announcing plans to launch the 1X in the US, too. The phone was shown off at MWC a few weeks ago. The specs are modest, but it'll cost under $100. Android Go was first introduced by Google at I/O in May 2017, so it's been a long wait for real devices running the slimmed-down Oreo experience. We hoped Mobile World Congress in Barcelona would be when OEMs began launching Android Go phones, and this was confirmed by Google last week. Just two days ago, we learned that the first devices running Google's new 'Android Go' platform would be announced next week at Mobile World Congress. Now it appears Alcatel has jumped the gun a bit, and unveiled the world's first Android Go phone alongside a slew of other devices. It's called the 1X, and it's not much different from a typical budget phone, except for the software.